The storm with the snow potential appears to be more of a rain maker for much of the eastern half of the country. 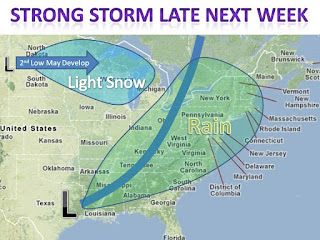 The low pressure system will work northeast from southern Texas up towards the Ohio Valley. In the meantime, a secondary upper level low will develop in northern parts of the midwest bringing light snow (1-3"). Although models are nudging the track of the storm more west with every run, the chance of a midwest winter storm are very low. 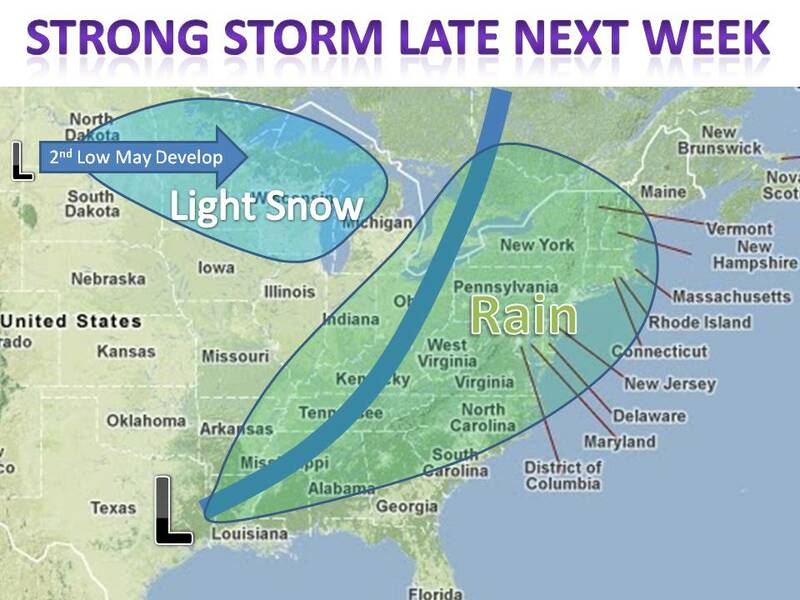 Anyways, look for some light snow late this week to be followed by cold air by thursday.